Women Of Exchange | Divine Exchange Ministry, Inc. 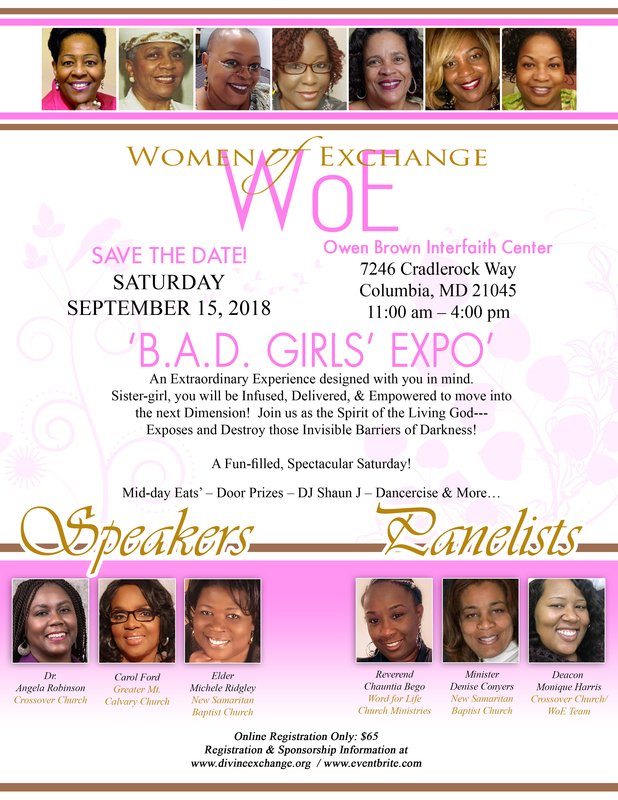 The Women of Exchange will be igniting their 9th Annual ‘2018’ B.A.D. Girls Expo! It’s a Recovery time experience for Women, by Women to Build Bonds, Uplift, Encourage, Empower + Edify Authentic Sisterhood. Each of us, at some point in our lives, will go through a transition period: a time when our focus will be redirected. It may be the first time entering the work force, or having children. It may be a health diagnosis, a divorce, or death of a loved one. We all experience a point when we realize it is time to refocus, reinvent ourselves, and relaunch into a new stage on our lifes journey. This conference will showcase anointed, professional women of God who have experienced their own transitions and helped others through their various life stages. This will give us a framework to reflect on ourselves; our personality, our passions, and our purpose. Join us! The B.A.D. 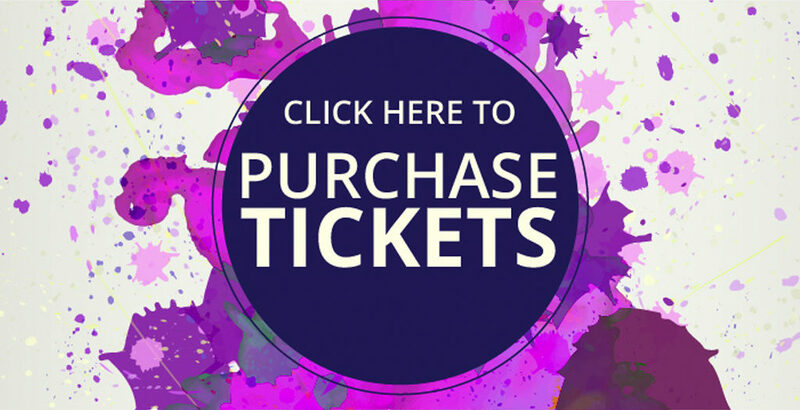 Girls Expo will be an experience you’ll won’t want to miss! A touch of the Spoken Word for the SOUL, Good Eats, Live Entertainment + and a refreshing soulful experience! Join Pastor Canzada Twyman along with her guests, as we explore new possibilities, and they equip you to “REFOCUS, REINVENT, & RELAUNCH.” Registration is only $65.00. You don’t want to miss this! So, STOP on by the Owen Brown Interfaith Conference Center on Saturday, September 15, 2018, and enjoy the Mid-day Eats, Door Prizes, Music featuring DJ Shaun J, Dancercise & so much more! Come Embrace the Experience… and slip into the Expo! An EXPERIENCE of HOPE & HAPPINESS! Event: The B.A.D. Girls Expo! *The 2018 B.A.D. Girls Expo! Is a Women of Exchange event. Tickets are required for this Experience. Please Register @ Eventbrite.com For more information, you may enter here.